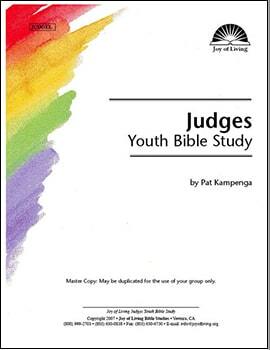 *The Judges Youth study does not match up to the Judges portion of the English Adult study lesson-by-lesson. The Adult study contains 6 lessons, and divides the chapters differently. The book of Judges covers the period in Israel’s history after the death of Joshua until the establishment of the monarchy under King Saul. At that time the people were ruled by judges whom God raised up to deliver His oppressed people—oppressions brought on by their own disobedience. In Judges we see a continuing cycle of God’s blessing, Israel’s rebellion, God’s disciplining, their repentance, and God’s deliverance and blessing again. In the stories of people such as Deborah, Gideon and Samson, we see God’s faithfulness, His patience and His grace.